Pacific Crest Snowcats was formed by a small group of dedicated local backcountry skiers, former ski patrollers and veteran Alaskan heliski guides looking to share the one-of-a-kind Sierra Nevadan ski and snowboard experience found in their own backyard. The terrain now visited by our guests was originally responsible for inspiring the operation…and it will no doubt inspire you. Situated on the North Shore of beautiful Lake Tahoe, our operation is tucked beside the Pacific Crest itself accounting for some of the deepest snowfall in the region and offers a perfect complement to any ski or snowboard vacation with a climactic day spent exploring the High Sierra. 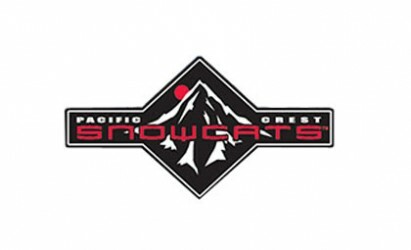 Pacific Crest Snowcats operates up to two snowcats daily with space available for up to 12 guests and two guides per snowcat (24 guests maximum per day). A typical day consists of between 8 to 10 runs spread throughout five distinctly different zones as we explore our more than 2,000 acres of reserved terrain located between Squaw Valley USA and Sugar Bowl resorts. On average, our runs are between 1,000 to 1,200 feet in length with a few of our longer laps closer to 1,500 feet in length. This means most groups can expect between 12,000 to 14,000 vertical feet by day’s end…more than enough skiing or snowboarding to feel worthy of the cold beer for the ride back to the trailhead. The all-inclusive pricing consists of avalanche beacon, backcountry protocol education, professional guide service, lunch and refreshments throughout the day.